Grapes for Humanity has partnered with ROSEcharities working in Cambodia in order to fulfill our mission of helping those in distress. 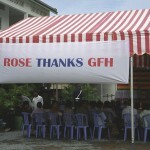 The objectives of our foundation are very similar to those of ROSEcharities. ROSEcharities helps disabled people have a more normal life by surgically correcting their disabilities. In many developing countries there are large numbers of people who have been crippled by land mines, burn injuries or other trauma; by polio or other infectious diseases; by untreated club feet, cleft lip or palate or other congenital defects; or by cataracts, benign tumors, and other developmental disorders. 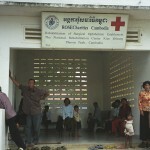 Most such people do not need urgent surgical care, and so are often neglected. ROSE is amongst the few organizations that attempt to ameliorate such disabilities by simple, surgical means, while, most importantly, training local doctors to do the operations and carry on the work within local practical technological, economic and organizational capabilities.